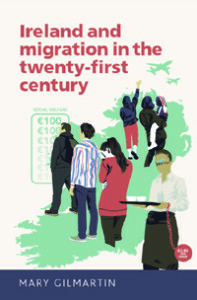 Congratulations to Mary Gilmartin, author of Ireland and migration in the twenty-first century. Her new book, released in July last year, has been nominated for 2013-2015 Geographical Society of Ireland Book of the Year Award. The finalists will be announced later this year, and the winner will be announced at the GSI awards night in May.